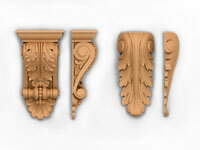 Along with the production of 2D decor, we produce 3D decorative elements with 3D carvings: wooden capitals and carved console, brackets, pilasters, panels, ornaments, moldings and frames for mirrors and paintings, carved rosettes, carved icons and much more. 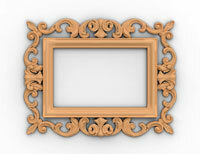 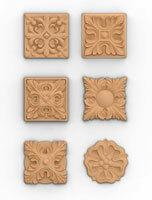 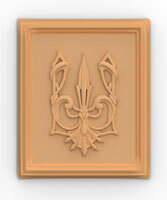 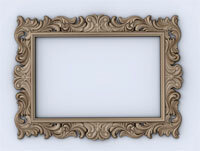 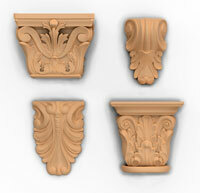 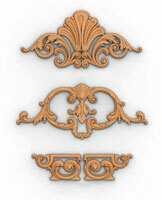 Decor is made from the blanks of the customer or from own material - as agreed. 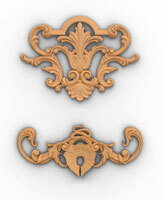 Decor items supplied require the final cleansing before finishing, or ready to paint - as agreed. 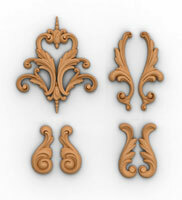 3D modeling is performed according to the drawings, sketches, photographs, or by Layout - prototypes required products. 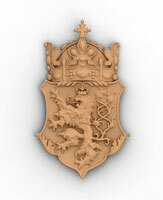 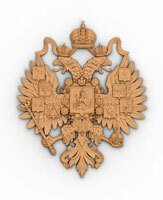 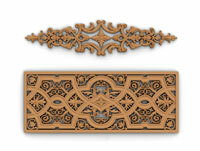 In stock company has no finished products decor - wood carving are made to order according to your size and requirements. 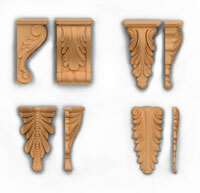 If you need a decor by model from our website - copy and send us with the information required by you sizes used materials, the necessary quantity of decorative elements and requirements. 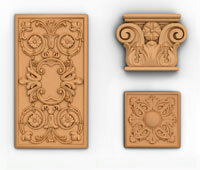 If you want to order a decoration for their own design as a sketches, drawings or photos - send us material that you have with dimensions and other requirements for the product. 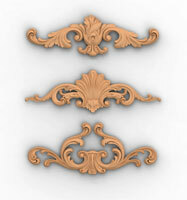 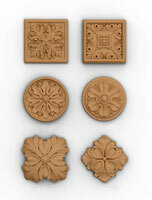 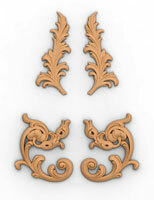 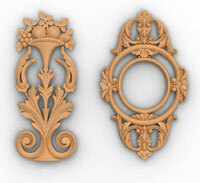 For our regular customers - on request - send email version of the full catalog decor with wood carvings.